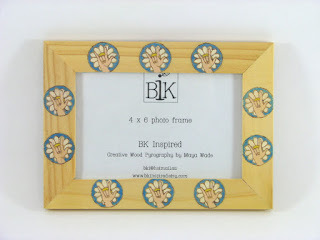 B K Inspired: 100th Customer! She purchased this fun "I love you" frame and for being the 100th customer I added a few extra fun gifts for her. Thanks to everyone who has supported my small business! I am having so much fun and I couldn't do it without you!